The word premium gets thrown around a lot in the world of modern sports cards, and not everyone agrees on exactly what it means. One thing most collectors would admit is that Upper Deck gave the concept of premium cards a huge boost when it introduced its first set of baseball cards in 1989, and the reaction to that landmark product changed the landscape of the hobby forever. Just about every aspect of the 1989 Upper Deck Baseball set was a step up from what collectors had become accustomed to seeing out of baseball card sets. The card stock was better, the tamper-proof packaging was a first, and the hologram that helped prevent counterfeiting was a new innovative twist. 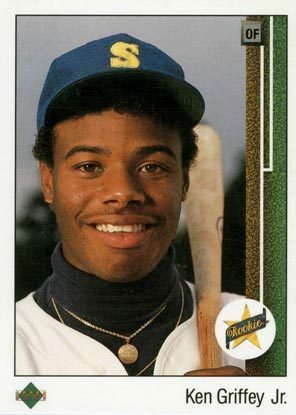 As luck would have it, a young outfielder named Ken Griffey Jr. was also coming of age at the same time, and his card in that first Upper Deck set became one of the iconic rookie cards of the modern era. Other card companies would follow Upper Deck's lead, but the privately held company continued to introduce many elements to its sets that are staples of the hobby in the early 21st Century. Upper Deck either invented or made the first widespread use of certified autographed cards, serial-numbered cards and game-worn memorabilia cards. More recently, it redefined beliefs of what people would pay for a single pack of cards with brands like Ultimate Collection, Exquisite and The Cup. By the mid-2000s, Upper Deck was the industry leader, producing trading cards for all of the U.S. "Big Four" sports leagues, buying the remains of former competitor Fleer and nearly purchasing main rival Topps. It's dominance was dealt a bit of a blow when the NBA decided to go with Panini as its only basketball card partner beginning in late 2009, and another came when Major League Baseball elected to go solely with Topps starting with the 2010 season. Upper Deck continues to make licensed sets of NFL and NHL (for whom it is the lone card manufacturer) cards, and has announced plans to continue making baseball cards thanks to a deal with the MLBPA. 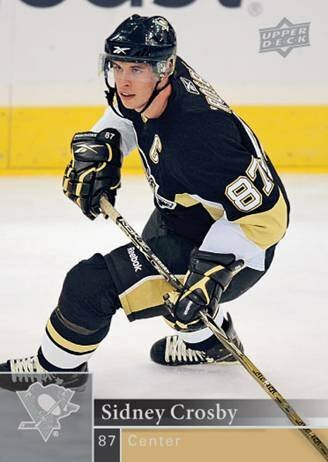 The company boasts brands like SP Authentic and SPx which have become staples across multiple sports, and its roster of exclusive spokesmen includes the likes of Michael Jordan and Sidney Crosby. Through its Upper Deck Authenticated arm, Upper Deck also has a large presence in the field of autographed sports memorabilia. It also produces non-sports cards like the World of Warcraft collectible card game and has a deal in place to create cards and games based on Marvel Comics characters beginning in 2010. 2003-04 Upper Deck Legends Basketball Hobby Box Factory Sealed Lebron RC? 2014 Topps Triple Threads Football Hobby Box Factory Sealed Garoppolo Auto?